Last week, in a story about another baby boy, there was a a beautiful memorial to the “Bubble Boy,” David Vetter, too. The story in the Houston Chronicle is also a tribute to the doctors and parents who keep immune compromised children alive while waiting for the cure or treatment to take effect. My granddaughter’s mother is one of those heroes, helped by doctors and nurses, my son and an extended family of friends. (I can’t help my prejudice that gives the mother most of the credit.) And then, there was a baby boy and his generous mother. I told Roni’s story to the Texas Legislature back in 2007 and 2006. An anonymous baby boy and his parents saved Roni’s life in 2001. In addition to a very low white blood cells count, her bone marrow didn’t make enough red blood cells or platelets, either. She’s healthy and well, today, after one of the first cord blood bone marrow transplants in the world at the age of 15 months. Although no matches were found for Sebastian, the baby in today’s story, Texas has a strong system for the registration of both bone marrow and umbilical cord blood donors. The Texas Cord Blood and MD Anderson Cord Blood Centers collect, store s and manage the distribution of donated cord blood collected at birth from moms and babies all over the State. Families who store their baby’s cord blood privately are very unlikely to ever need it, except when there’s a known problem. The odds are less than 1:200,000. But if they donate to a public bank, the blood is much more likely to save a life and/or be used in life-saving research. Bravo to all the parents and caregivers in children’s lives and prayers for Sebastian. There’s a Go-Fund-Me account for Sebastian’s expenses, if you are interested. Edit: there’s a wonderful update: Sebastian was able to go home! “Captagon — a synthetic amphetamine-based pill — is considered the drug of choice for Islamic State fighters in Syria, Iraq and, now it seems, Paris. Cool! Security will need to be tight, though. 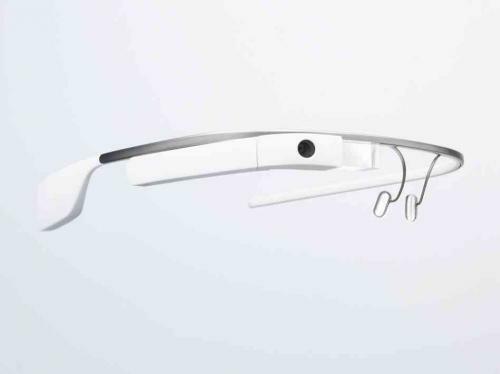 via Health record app for Google Glass developed by Drchrono. A machine lays down the titanium for the false hip, dot by dot, line by line as with a printer. In addition, the docs used the woman’s bone marrow stem cells to aide in healing. 3D Printed Titanium Hip Combined with Stem Cell Graft Implanted Into UK Patient. President Obama and Democrats everywhere should be grateful to the Republicans for saving them from a huge embarrassment. Instead, the Dems continue to dig in, escalating their claims to have won a mandate on ObamaCare in 2012, in spite of the fact that the Republicans won enough seats in the House of Representatives to secure a strong majority. House Republicans passed a new Continuing Resolution that compromises on Obamacare, by changing from refusing funding altogether to setting up a one year delay. Included in the Bill is a measure that would ensure that our military is paid in the event of a shutdown. The Bill also repeals the 2.3% tax on medical devices and the mandate that business owners with religious objections buy insurance that includes controversial “free” contraception. In the District [of Columbia], people who use the online marketplace will not immediately learn if they are eligible for Medicaid or for subsidies.
. . . But as the launch nears, more delays are occurring. On Thursday, the administration announced a delay in the online shopping system for small businesses and confirmed that the Spanish-language site for signing up for coverage will be delayed until mid-October. Earlier in the week, officials said Medicaid applications will not be electronically transferred from the federally run exchange to states until November. What causes a frail elderly person to become a patient in the hospital and can we do something in the home to prevent that event? What causes some people to develop chronic illnesses and can other people intervene to prevent the consequences of those illnesses? What if healthcare reformers asked these questions rather than focusing (or appearing to focus) only on costs? Better yet, what if they recognized the system changes that work, rather than insisting that all doctors must become employees of mammoth organizations, touting the business opportunities inherent in expensive, user-unfriendly electronic medical records and/or forcing an even more expensive change from the 5-digit medical diagnosis codes in ICD-9 to the 7-digit ICD-10 codes? In 2008, when physicians from CareMore, an independent medical group based in Cerritos, California, heard news reports of a brutal heat wave, they began contacting their elderly emphysema patients. Physicians worried that the scorching heat would drive their at-risk Medicare Advantage patients to the emergency room. So when patients said they had no air conditioner, the physicians purchased units for them. The theory was that the roughly $500 cost paled in comparison to the cost of an emergency-department admission. As it happened, this non-medical “intervention” kept CareMore’s patients out of the hospital. But if they had needed to go and lacked transportation, CareMore would have offered a free ride. CareMore has an expansive, counter intuitive approach to healthcare. The group fends off falls by providing patients with regular toenail clipping and by removing shag rugs—a common household risk for the elderly. Patients engage in iPhone conference calls with healthcare professionals and are remotely monitored with devices that feed data automatically to doctors; for example, patients with congestive heart failure are given a wireless scale that reports their weight on a daily basis—a key step in preventing hospitalization. They have singing pillboxes that chime when it’s time to take medications. These unusual tactics produce enviable outcomes: CareMore’s hospitalization rate is 24 percent below average, hospital stays are 38 percent shorter than average, and the amputation rate among diabetics is 60 percent below average. Overall member costs are roughly 18 percent below the Medicare average. The electronic medical record helped CareMore identify patients at risk, but the EMR is a minor tool compared to the minds of the innovators who recognized the real problems and acted in the best interest of the patients. A real-life, real medicine tale of the risk that doctors face – and are willing to face – when taking care of our patients under arbitrary and often outdated Medicare regulations. It will only get worse under ObamaCare and the IRS. He was a slender-framed man, mid- to late-sixties, with a kind of ridden-hard-put-away-wet complexion. It was clear the years had not always been good to him, but being the kind soul that he was, he had plenty of friends. It was a beautiful summer day to spend with friends for a barbecue, but he arrived feeling puzzled why he collapsed at home earlier in the day. It is becoming abundantly clear that conflicts between the [sanctity] of human life will confront the government’s unwillingness to pay for procedures. No where is this more clear than with approval of payment for the implantation of an ICD, which might run in excess of $200K for the procedure at some instituions. As a result, doctors who strive to provide state-of-the-art care to their patients will continue to confront similar ethical dilemmas that risk their legal standing (and credentials) as they care for their sickest arrhythmia patients. ctors if they stray at all from these outdated decisions. This fear is to the point where it might do actual harm – and even cause death – to patients who are left without appropriate treatment as a result. via Dr. Wes: A Case of Fraud.